While many users rely on their existing smartphone to tether their Internet connection to their other devices, carriers keep putting out dedicated devices to achieve such a goal. 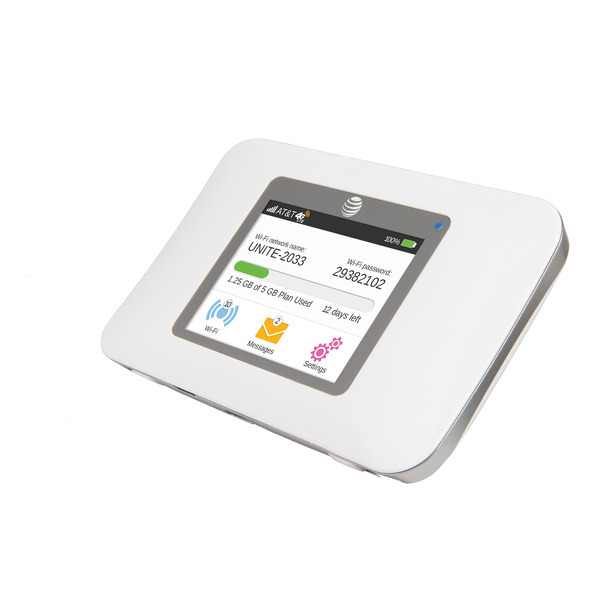 Coming from Sierra Wireless, this particular hotspot features 4G LTE connectivity from AT&T, a touchscreen display, and 10 simultaneous connections. Interestingly, pricing and availability is unknown, which makes us wonder why anyone would announce something without giving you the most critical of details. You’ll find the full press release below. AT&T Unite has an easy to use 2.4” touchscreen display and can connect up to 10 Wi-Fi enabled devices, including a guest hotspot for one-time users. Customers can also manage connected devices, change network and device settings and block unwanted devices from joining the network – directly from the screen. AT&T Unite is powered by the nation’s largest 4G network. An on-screen meter monitors data consumption, making it easier to track your usage. AT&T customers have access to the nation’s largest 4G network, covering more than 285 million people. AT&T has two 4G networks that work together for customers, LTE and HSPA+ with enhanced backhaul, and the AT&T Unite is compatible with both. That means AT&T customers are able to enjoy a widespread, ultra-fast and consistent 4G experience as they move in and out of LTE areas. With other carriers, when you travel outside of their LTE coverage area, you may be on a much slower 3G network. ** 4G speeds not available everywhere. Limited 4G LTE availability in select markets. LTE is a trademark of ETSI. Learn more at att.com/network. *** Smartphone required. Up to ten devices per plan. Additional monthly charge per device. $15 per GB for add’l data. Unlimited talk and text for phones only. Activation fee may apply. Additional deposits and other restrictions may apply. Access to corporate email, intranet sites and apps available for $15/mo. per device.